Due to medical treatment, Benoît David is missing the April dates in New Zealand, Australia, Japan, Indonesia, Hawaii, with Glass Hammer’s Jon Davison filling in. The band then plan to return to North America and possibly Europe in the summer. Whether Benoît returns is not known at this time! 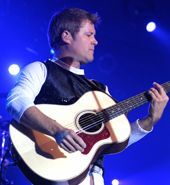 Vocalist Benoît David, a native of Montreal, Canada, has been singing with Yes since 2008. Benoît has also been the lead singer of Mystery since 1999, and has appeared on two albums: Beneath the Veil of Winter’s Face and One Among the Living. Fly From Here is Benoît’s first studio recording with Yes.